Visitation Rights During Divorce | Local Visitation Rights Attorney | Local Law Firms . Visitation is the legal term used to describe the rights that a non-custodial parent has to spend time with their children. The courts will deem one parent as the custodial parent and one parent as the non-custodial parent. The custodial parent is the parent with whom the child resides the majority of the time, and the non-custodial parent will be awarded legal visitation rights in most cases. Every parent has rights and obligations in regard to their children. To ensure these rights and obligations are protected after a separation or divorce, parents may wish to contact visitation rights attorneys for assistance. The amount of time a parent is allowed to spend with the child and the parent-child visitation schedule may be determined by the courts. Because of this, it is imperative that non-custodial parents have access to the expert legal representation of an experienced lawyer during all decisions and procedures regarding child visitation. Are you going through a divorce and considering filing for visitation rights? If so, contact a visitation rights attorney in your local area to discuss your case today. The policy of almost every state is to ensure that the separated or divorced couple's children continue to have frequent contact with both parents. This is true as long as each of the parents have demonstrated the ability to act in the best interests of their children. Furthermore, the states feel that frequent and continued contact with both parents will encourage the parents to share parental responsibilities. Equal access is preferred by the courts unless extenuating circumstances exist that would make contact with one parent harmful to the child. Equal access to the children – unless the court determines that it would be detrimental to the mental, physical, and emotional welfare of the children, both parents will have equal access to their children. A visitation rights attorney can help protect the rights of a parents to ensure they get to spend time adequate with their children. When the separated or divorced couple cannot reach an agreement in regard to visitation rights, a visitation rights lawyer can be of invaluable assistance. 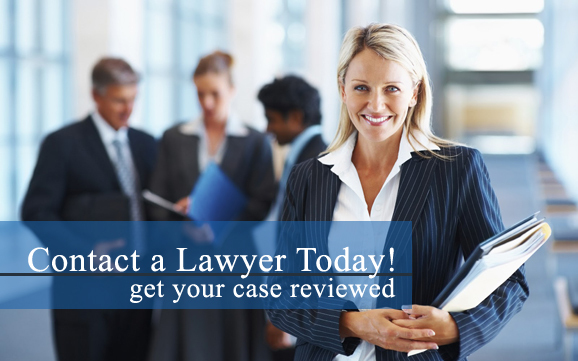 If a visitation is contested by either parent, a lawyer should be contacted immediately. Lawyers can help parents modify the visitation schedule. Whether a parent wishes for a child to spend less time with the other parent or whether one parent feels their visitation rights have been violated, it will be necessary to retain the services of visitation rights lawyers. Visitation rights lawyers are here to help you. They understand the sensitive nature of child visitation issues, and they will treat your case with both dignity and respect. These attorneys will work for you to help you achieve the visitation rights with which you are comfortable and satisfied. For help with your visitation rights, consult with a visitation rights lawyer today. Are you going through a divorce and need of legal assistance to obtain child visitation rights? If so, contact a visitation rights attorney to discuss your case with an experienced lawyer in your area to provide the legal help you need today. These are very likely to be issues that the parents will not be able to resolve on their own. When custody issues such as these arise, parents should not hesitate to contact a visitation rights law firm for legal assistance.